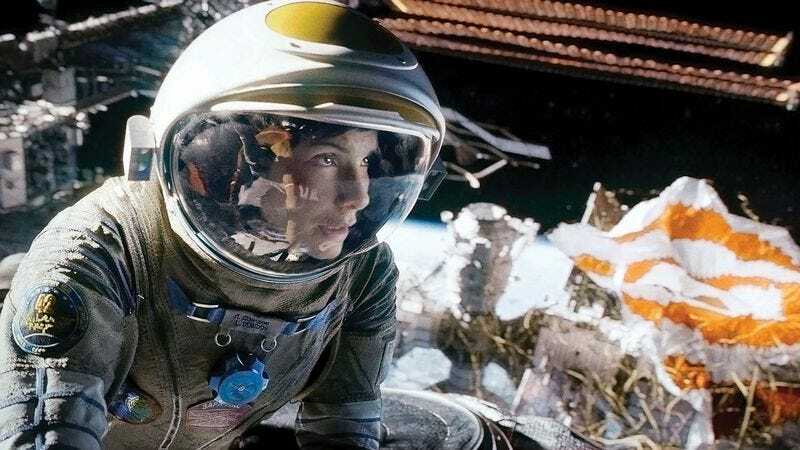 Alfonso Cuarón’s Gravity is out in theaters now, and it’s aesthetically ambitious enough to inspire conversation for weeks—so go see it already. Once you do, come back to the Internet because a ton has been written about the impact of the film, and especially its nearly accurate use of science—from Buzz Aldrin’s review in The Hollywood Reporter to Jeffrey Kluger’s extensive fact-check of the film. The Atlantic Wire went right for the heart of a somewhat spoiler-laden “Would you rather,” examining the desirability of the ways an astronaut can die in space. The site talked to Jonathan Clark, a former Space Shuttle surgeon who now works with Red Bull Stratos, about the choice between running out of oxygen and prolonging life to the last possible second, or ending it all by exposure to the vacuum of space. You know, just the casual choice that everyone will have to deal with now that space travel is going to be a real and actual thing that most humans will experience before they die. Forget about clean water and climate change—as David Cross said, “We’re going to the moon!” If Gravity isn’t enough to permanently sear the relative insignificance of one life in the massive void of the universe into your brain, then surely contemplating whether to pass out before exposure or frantically run out of oxygen will calm a nervous mind.